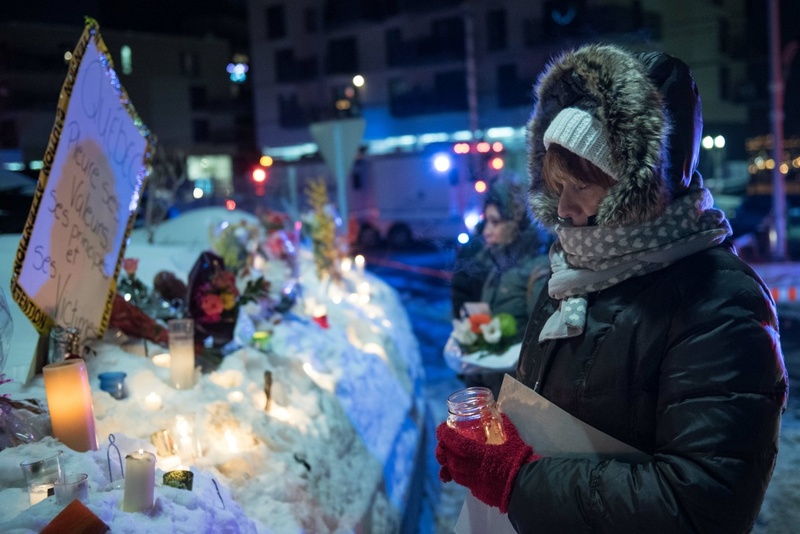 People place candles near a mosque that was the location of a shooting spree in Quebec City, Quebec on January 31, 2017. The suspect was later identified as Alexandre Bissonnette, a French Canadian with far-right, nationalist views. Bissonnette was charged with six counts of first-degree murder and five counts of attempted murder. The shooting capped a frantic weekend for Muslims around the globe that saw the signing of an executive order by President Donald Trump to ban travelers from seven Muslim-majority countries from entering the U.S.
AirTalk invites Muslim Americans in Southern California to join us to talk about these recent events.